The release of our dry Rosé of Sangiovese is always one of the first signs of spring for many wine lovers.Well known for the vibrant color, enticing nose and bright fruit flavors, this wine sells out quickly, so stock up while you can. The 2017 vintage will be talked about for a long time. Drought ending rainfall in January and February brought floods to many regions, heatwaves began in April and continued on and off throughout the summer, then Northern California wildfires made national news in October! After de-stemming, the fruit was cold soaked for three to four hours to achieve the alluring pink color. We drained off the juice, dug out the skins, and then gently pressed the grapes. The juice went back into tank and settled for 2 days at 40 degrees before it was racked and inoculated with a French isolate yeast. A slow cold fermentation followed to preserve the bright aromatics and fruit flavors. The wine was bottled in February 2018. Our Rosé is recognized by critics and wine lovers as one of the best in the country, with a bright hue and brilliant pink color that alludes to the rich style. Aromas of guava, strawberry, watermelon, raspberry and mint explode out of the glass, while the classic flavors of watermelon, strawberry, peach, berry along with a nice minerality keep you coming back for another sip. The 2017 is a drier style with very bright acidity and a long lasting finish. 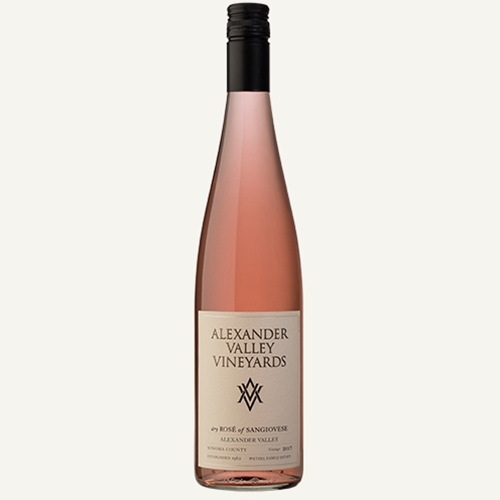 This vintage is pure California sunshine in a glass and is sure to be a hit with Rosé lovers!